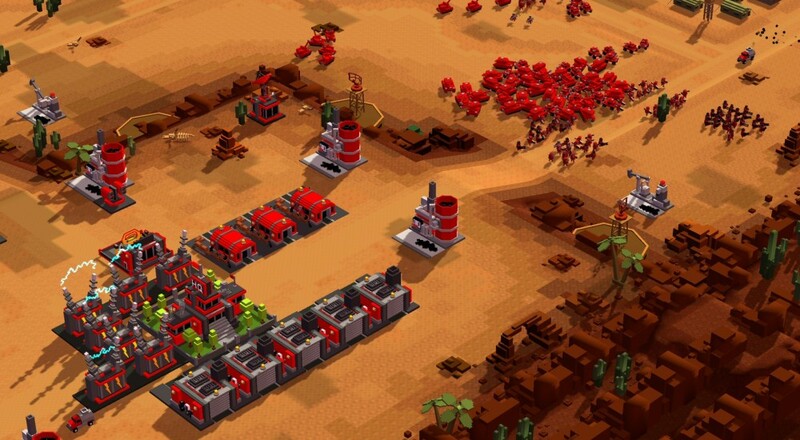 8-Bit Armies is a solid RTS title that falls into the same vein as older RTS games like Command and Conquer. It forgoes the bells and whistles, i.e., there is no upgrade tree for units/buildings, there's only resource type to collect, in order to provide a more straightforward (and fun!) experience. If you missed it last Friday afternoon, Locke and I teamed up for some co-op challenges. We started off a little bit rocky as I believed I could just "Zerg rush" the opposing enemy force. After a quick re-group, we knocked out the first challenge mission through the strategic deployment of nukes. For the second challenge mission, we faced some stiff opposition from the enemy airforce, but it was nothing a bunch of turrets couldn't take down. 8-Bit Armies​ is available now on Steam for $14.99. The Co-Op Challenge missions support two players online, and you can fight A.I. bots with two, three, four, and even more friends in the Skirmish mode. Page created in 1.2303 seconds.